The Sun Kissed Boys consider driving around neighborhoods looking at pretty homes to be a "mommy thing" to do. So in turn, they requested a "boy thing" to do after our Coral Gables tour. Sun Kissed Husband had the perfect idea when he suggested to go see airplanes land! 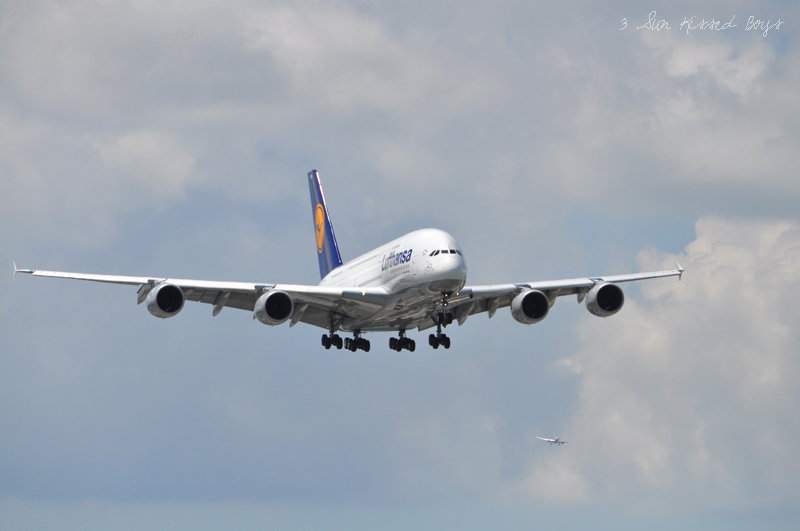 We watched several of them touch down, but the one that we were there to see was Lufthansa's Airbus A380. In the shot above, Sun Kissed Boy #1 was taking pictures of the mammoth beast with my iPhone. Here's how they turned out. 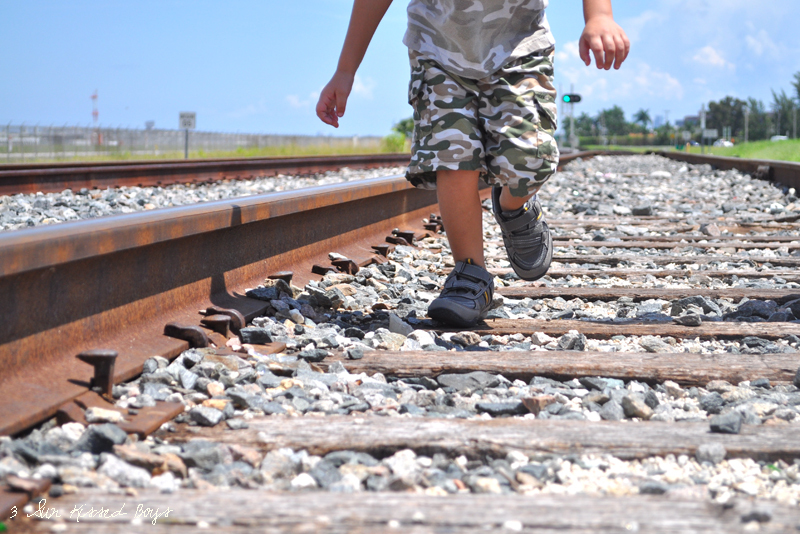 What was even cooler about our adventure was that it was packed with photo moments. Guess what? That's a "mommy thing" too! The only thing wrong with our little field trip was that it was a million degrees out. I do already have visions of a similar excursion, including a picnic, when it cools down some in our parts. We used to do that! 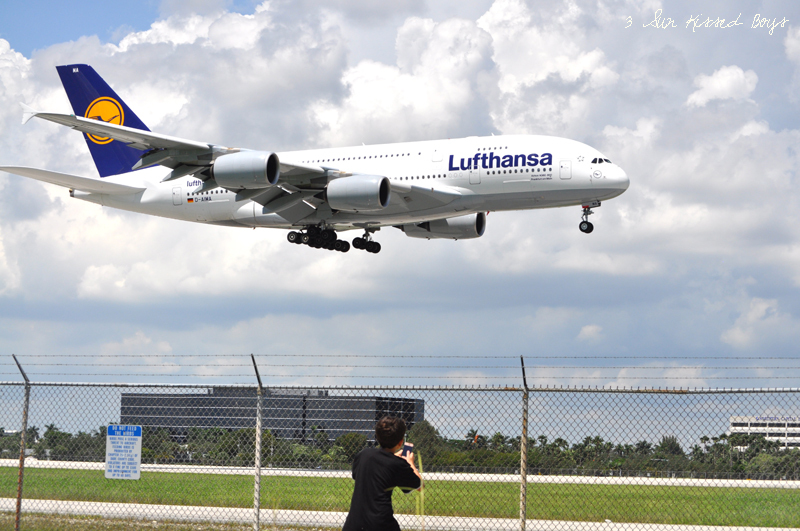 We love to go watch planes land at DFW Airport. How fun it was. 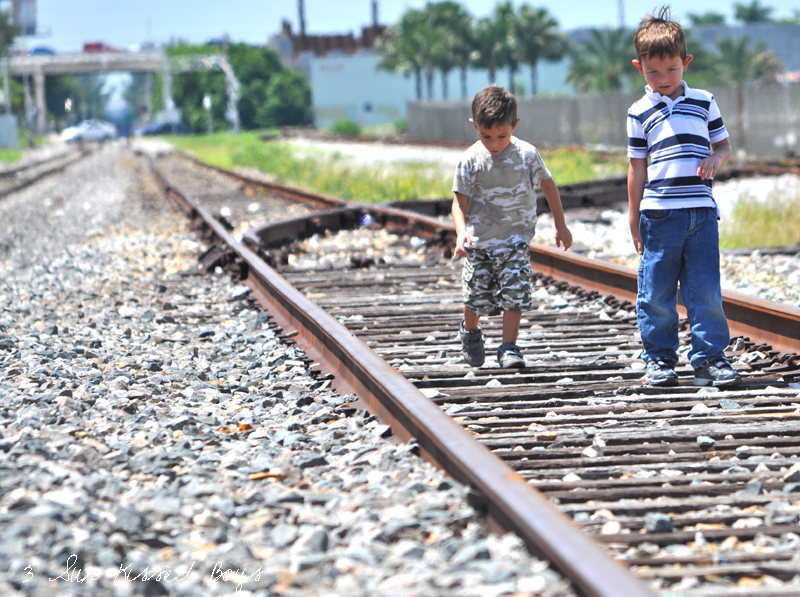 Love the pictures of them walking on the railroad tracks. Those are framers! So glad the boys got to do a boy thing! My youngest actually loves watching planes land. She loves a lot of things though that I was never into. What great photo opps! 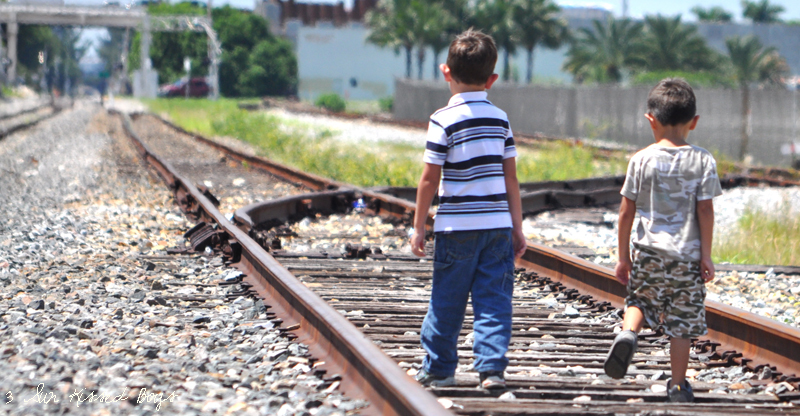 I love photos with kids and train tracks. Okay, you HAVE to tell me where you found this spot. My son is crazy about airplanes. 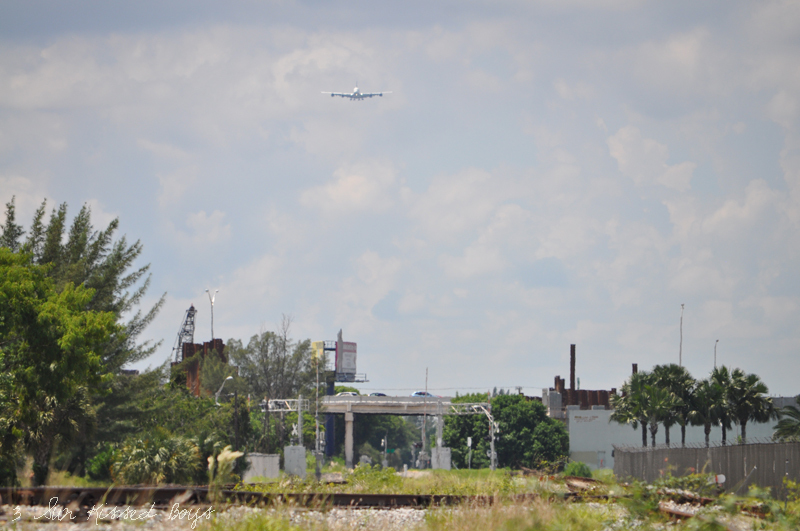 We live close to the Ft Lauderdale airport and all day he's like a broken record, "airplane! airplane!" every time one flies by. I have really been wanting to take him to watch them, but don't know of a good place. 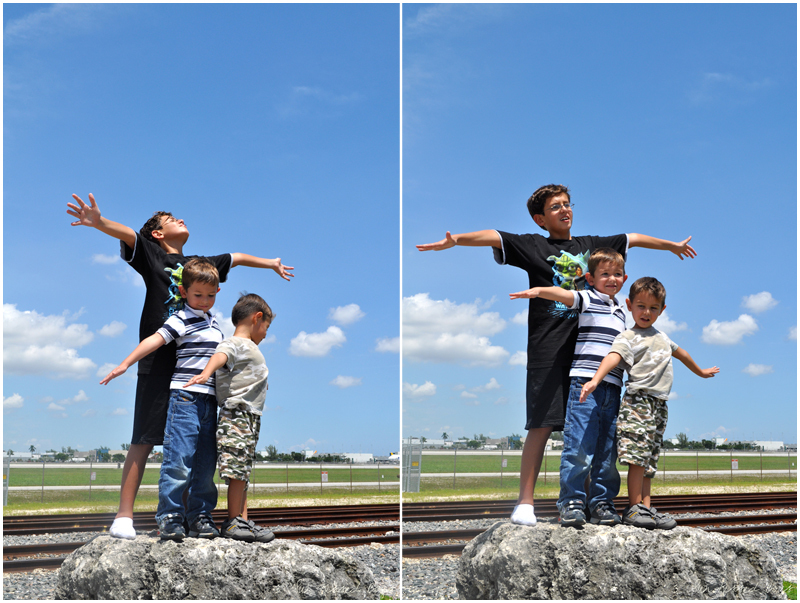 the runway at their airport, putting us all on the hood of her car, and letting us watch all the planes take off! It was like they were right on top of us. What a fun day, Yanet! Great images, Yanet! This is a wonderful set...I have a fascination with flight so this collection is particularly awesome.